With these ideas, I complete the materialist paradigm (materialism). I have now shown how all ideas are produced by a material, organic, biological body, but I have also demonstrated how the ideas are through quite material processes given immaterial reflections. 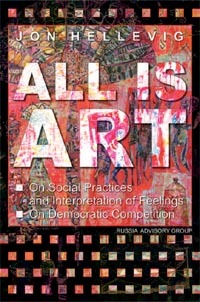 - In this connection, I want to refer to the ideas of new dualism. 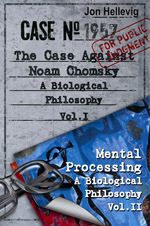 Briefly, I hereby refer to the fact that while we shall conceive of all processes of cognition as material, we shall anyway bear in mind that they are the results of processing of immaterial stimuli stemming from social practices. Thus there is a dualism between the body and the environmental stimuli which it processes. If we understand that social expressions do not exist even when we may experience them through the media of human behavior and the ability to remember and imitate (sometimes aided by material traces that behavior leads behind), then we may grasp how immaterial social practices affect cognition in form of immaterial stimuli. This is what led me to postulate the paradigm of new dualism - the dualism between the body and the external stimuli being processed by it. According to this idea the essence of neural (mental) processes is to process external stimuli that have been detected (received) by the sensory organs (sensory receptors). These processes correspond to organic interpretations. 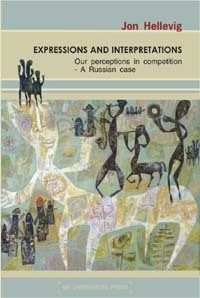 Processes of organic interpretation further lead to bodily expressions which are reactions to these interpretations (among such expression, gestures and speech). At some point the joint outcome of the various processes simultaneously occurring are brought up to a cognitive level, where higher-order mental processes occur both unconsciously and consciously as reflections of the lower level processes. These higher order processes are what correspond to what we may call cognitive behavior or the kind of activity we refer to as pertaining to the intellect or intelligence. - The factors external to the body in mental processes are thus the stimuli that are being processed by the neural system, and they are no metaphysical 'soul' or 'mind.' This is why I propose to think of the processes of the brain/body interpreting stimuli in terms of the dualism between body and stimuli. To make this idea manifest and to highlight these issues against the misconceived classical dualism, I refer to it as the new dualism and alternately as natural dualism. We therefore may now recognize how at the end of the analysis the connection between the natural biological world and that of the social is not a mysterious one but that of the relation with body and stimuli. In fact, even organic life as such (keeping with the paradigm of expressions and interpretations) is a function of a dualism between body and stimuli. It was Lamarck who first identified this as the fundamental condition of life. This helped me to recognize that social life is a function of the capacity of the human animal to cognitively interpret and express his feelings, and - most importantly - to imitate the expressions of others. Language and all other social practices are functions of this imitation. Language is the living memory of all the expressions which people have made. Language, all social practices, all what humans have ever cognitively performed do not exist, only memories of them exist insofar as one human being remembers these practices.